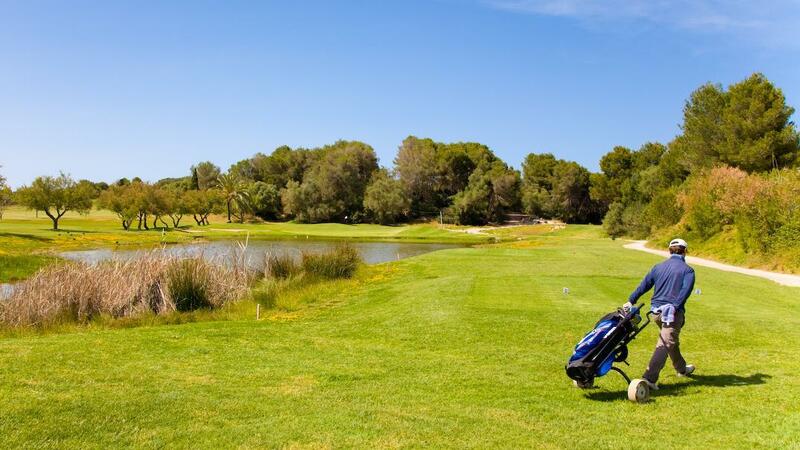 Open 365 days of the year, Golf Son Parc Menorca offers its multiple services to fully enjoy this sport. All visitors are welcome to play 9 or 18 holes. The course opened in 1977 with 9 holes and today boasts 18 holes of high quality competition redesigned by the well known course architect Dave Thomas. 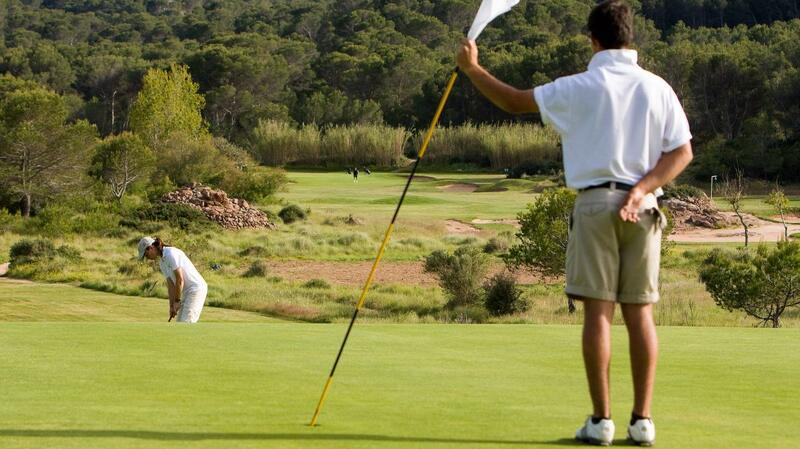 Golf Son Parc Menorca is special for many reasons. Offering a natural, relaxing and fascinating golfing experience, the course is as competitive as it is picturesque with the 18 holes surrounded by pine woods and a narrow flat layout. There are many strategically thought out obstacles and bunkers giving way to a very technical layout characterized by its undulating greens which offer a challenge not only to the beginner golfers but also experts. There is also a Driving Range,190 meters long and 83 meters wide, with 18 bays:14 are covered and 4 outside and nocturnal illumination, a putting green and a chipping area, all this is visible from the terrace of the Bar – Restaurant Es Bruc Golf open year round from 9:00 a.m. The golf school is open to anyone interested in learning the game of golf in a quiet and serene environment.Our golf professional Gustavo Flammia is available throughout the week from Wednesday to Sunday, morning and evening, to meet the demands of new players and to help improve the swing of who have already approach the green. Gustavo Flammia is an Italian-Argentinian golf pro. In this club there are many facilities for children to learn to play golf, The Academy runs courses for children during the school period which is mid September to end of June. There are special offers for children and young adults to rent equipment and develop their golf skills from a young age. 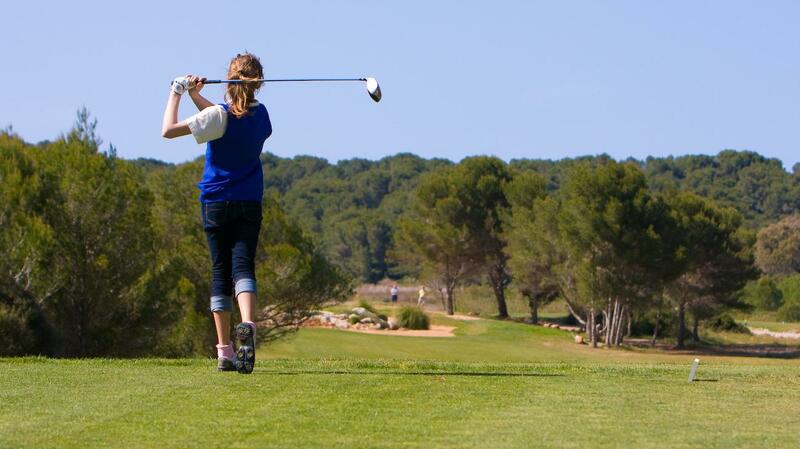 Golf Son Parc Menorca is situated in the Urbanization of Son Parc, a tourist area on the north coast of the island, a few kilometers from the beach of Arenal de Son Saura. Son Parc belongs to the municipality of Mercadal, where the highest point of the island can be found, the mountain of Monte Toro, and from this point you can see impressive views of the whole island. The busiest season for playing golf is from May to October, leaving the winter free to play in peace and quiet, as the golf course is open 365 days of the year. The Club organizes throughout the year a wide calendar of golf competitions which include officially sponsored events, competition for kids and a Golf Week in May, normally the second week-end, starting with the MEN MENORCA OPEN where the participation on this tournament is international. Another internationally known tournament is the MENORCA JUNIOR OPEN U18 which normally takes place at the end of October where boys and girls under 18 come from all across the world. All competitions are open to members and visitors.